Discover LEXIO™, our interactive glossary: the essential tool for consistent, high-quality multilingual content. A glossary groups together a set of terms that are relevant to a translation project such as: words specific to your company, to your sector, SEO keywords, technical terms, marketing expressions, etc. These terms are indexed in their source language along with their translations in the different target languages. This multilingual database is shared among all the translators working on your projects. The glossary is a precious resource for the translator and allows him or her to choose the relevant terminology, guaranteeing consistency in your content. 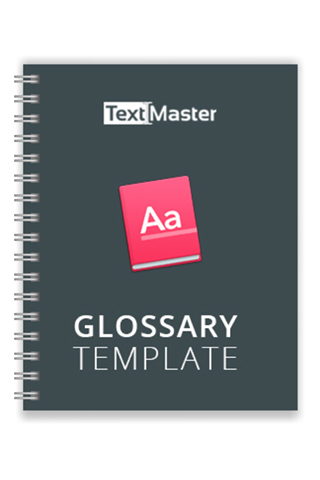 How Does TextMaster’s Interactive Glossary, LEXIO™, Work? With LEXIO™, you can import your glossary into our platform at any time, in the languages of your choice. For example, you can import an e-commerce glossary for your product information and a marketing glossary for your brochures. 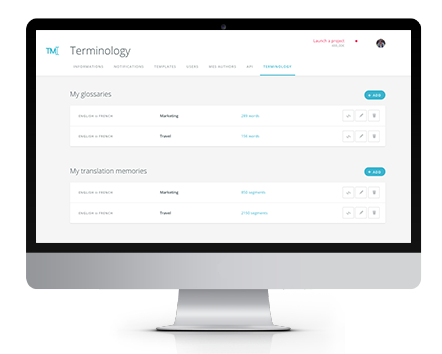 For translators, our interface identifies and suggests, in real time, the translation of the terms included in your glossaries. The translator just has to click on the suggestion to insert it into the translated document. 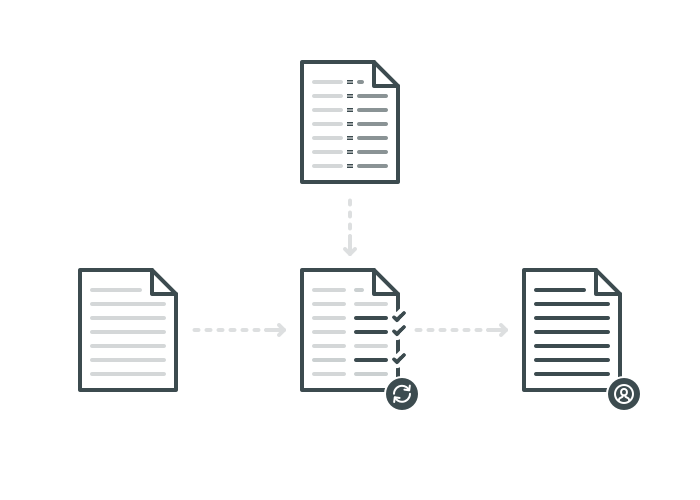 Why Use LEXIO™ For Your Translation Projects? The glossary is an essential tool for your international presence. In addition to ensuring the consistency of your multilingual content, it also allows you to preserve your brand identity across the world. With LEXIO™, you have the guarantee that your translators are using the terms that you have approved. This allows you to avoid a lot of back and forth and ensures accurate translations. Your international SEO expressions are rarely the literal translation of their source language equivalents. Our glossary will allow you to automatically integrate all your SEO keywords into your translations. Your glossary is a precious asset in which it is necessary to invest: it will help your teams and translators save time if it is well localised. The creation of a personalized glossary is therefore a stage that must not be neglected and can require the help of professionals. This is why TextMaster offers you a full creation service for multilingual glossaries. Our terminology experts have powerful tools to analyse all your content, extract the terms most frequently used and then select the most relevant. 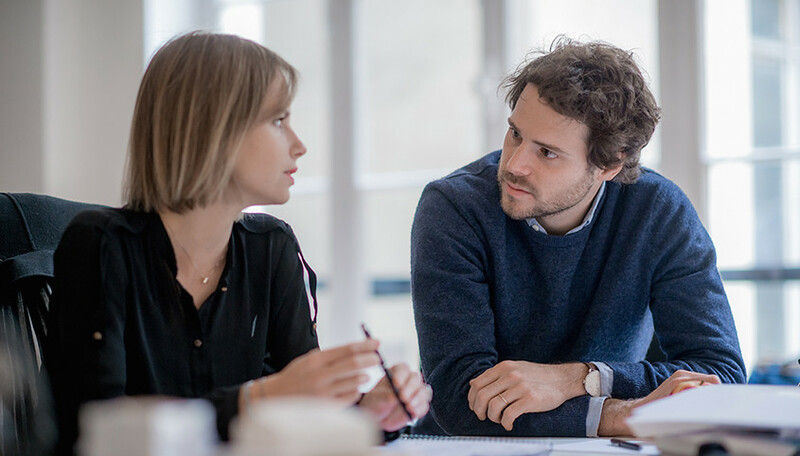 The translation of these terms is then assigned to a specialist translator, who will be able to understand the terminological subtleties linked to your business. If you want to create your glossary yourself, we advise you to download our template and read our advice page. This will ensure that you follow the best practices relating to the terms to include, the desired format and the language codes to use.